Walt Disney Animation Studios, the studio behind “Tangled” and “Wreck-It Ralph,” presents “Frozen,” a stunning big-screen comedy adventure. Fearless optimist Anna (voice of Kristen Bell) sets off on an epic journey—teaming up with rugged mountain man Kristoff (voice of Jonathan Groff) and his loyal reindeer Sven—to find her sister Elsa (voice of Idina Menzel), whose icy powers have trapped the kingdom of Arendelle in eternal winter. Encountering Everest-like conditions, mystical trolls and a hilarious snowman named Olaf (voice of Josh Gad), Anna and Kristoff battle the elements in a race to save the kingdom. The film is directed by Chris Buck (“Tarzan,” “Surf’s Up”) and Jennifer Lee (screenwriter, “Wreck-It Ralph”), who also wrote the screenplay. It is produced by Peter Del Vecho (“Winnie the Pooh,” “The Princess and the Frog”). Featuring original songs from Kristen Anderson-Lopez (“In Transit,” “Winnie the Pooh”) and Tony® winner Robert Lopez (“The Book of Mormon,” “Avenue Q”), and an original score by Christophe Beck (“The Muppets,” Oscar®-winning short “Paperman”), “Frozen” won two Academy Awards® (best animated film and best original song with “Let It Go”) and a Golden Globe® (best animated feature film). It is the fifth highest grossing film of all time and the highest grossing animated film earning more than $1.27 billion globally. 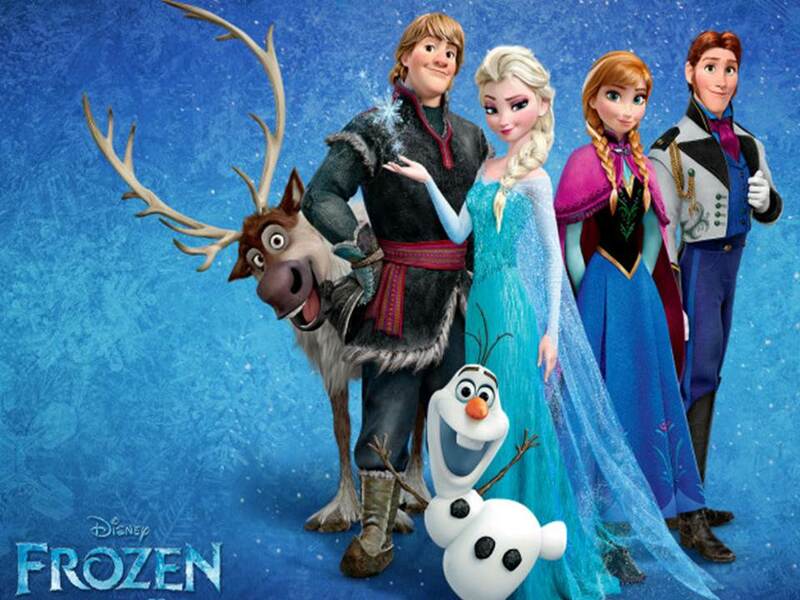 Released wide domestically on Nov. 27, 2013, “Frozen” posted the No. 1 industry all-time Thanksgiving debut and Walt Disney Animation Studios’ biggest opening ever. The film’s Feb. 25 digital debut was the biggest digital release (sell-through) ever; it’s Blu-ray/DVD release on March 18 was No. 1 on the Nielsen overall disc charts for eight nonconsecutive weeks. The “Frozen” soundtrack is the top-selling album of 2014 and spent 31 consecutive weeks in the top 5 on the Billboard 200 chart, including 13 nonconsecutive weeks at No. 1. It is certified triple Platinum, selling more than 3.2 million units. The “Let It Go” film clip from “Frozen” has been viewed nearly 300 million times on YouTube.